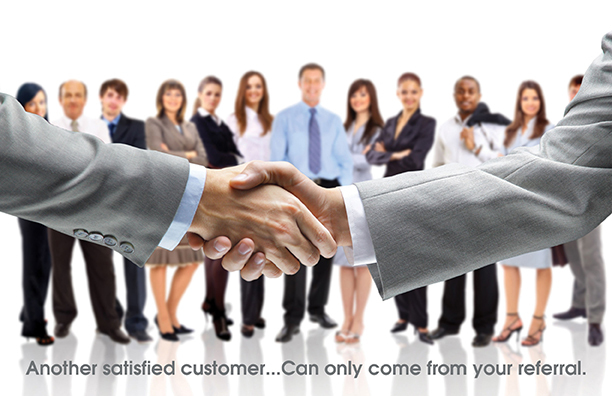 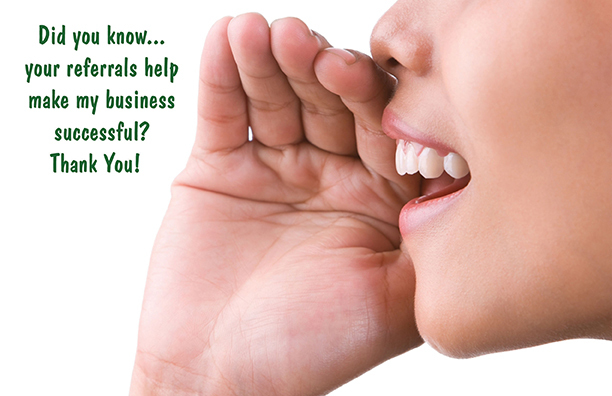 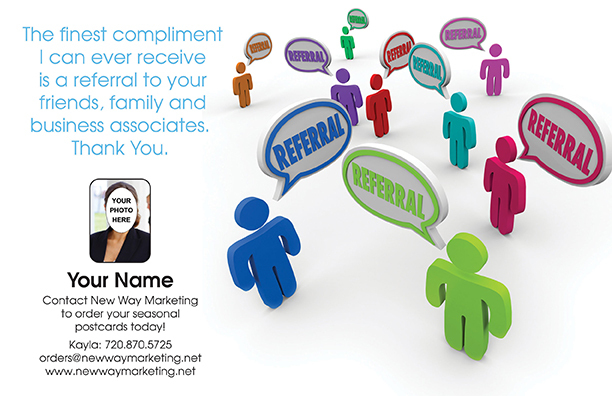 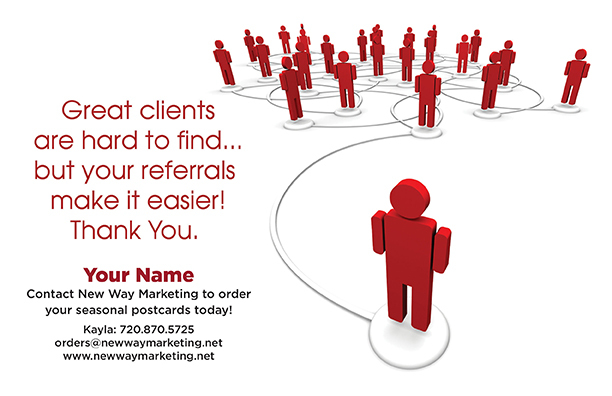 Savvy independent business people understand the power of referral marketing. 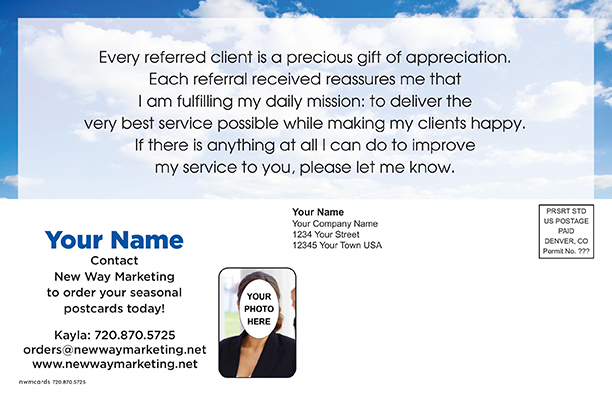 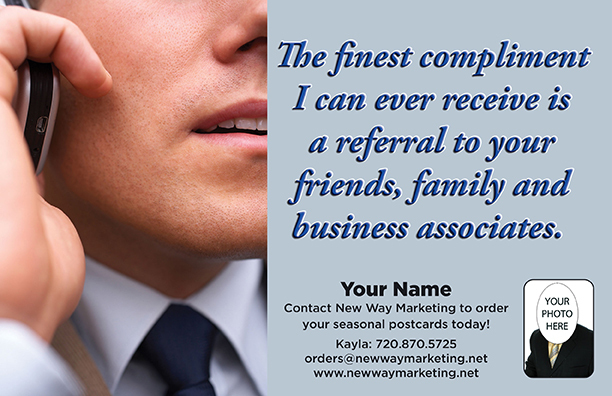 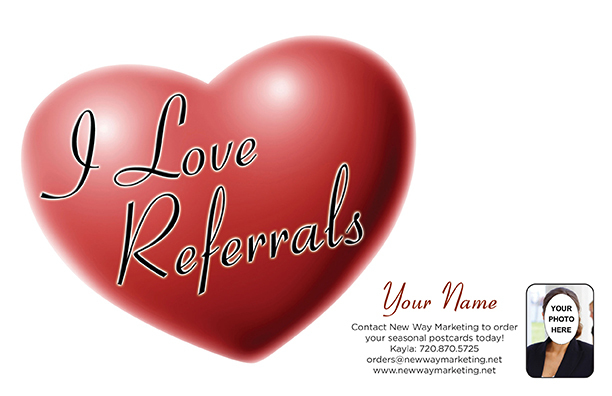 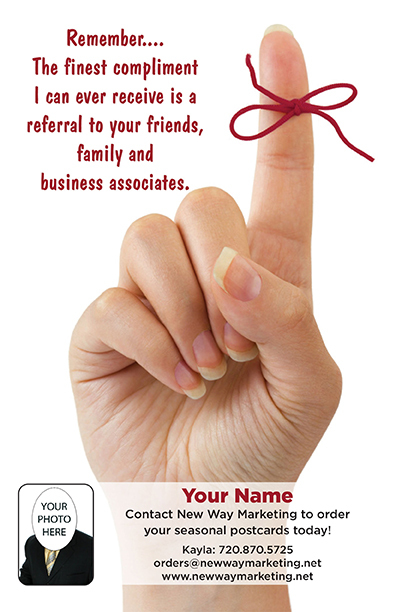 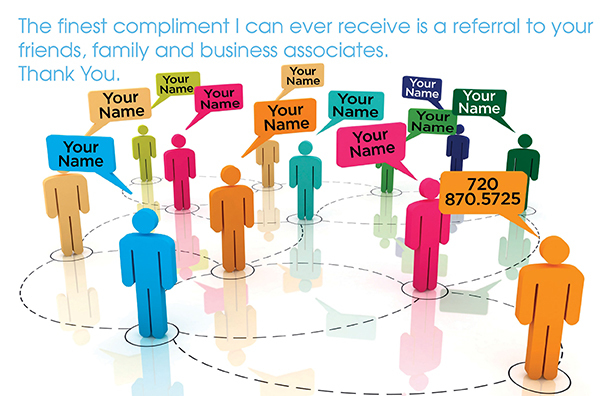 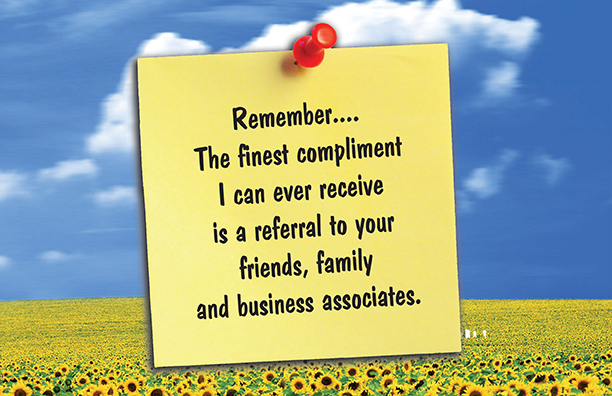 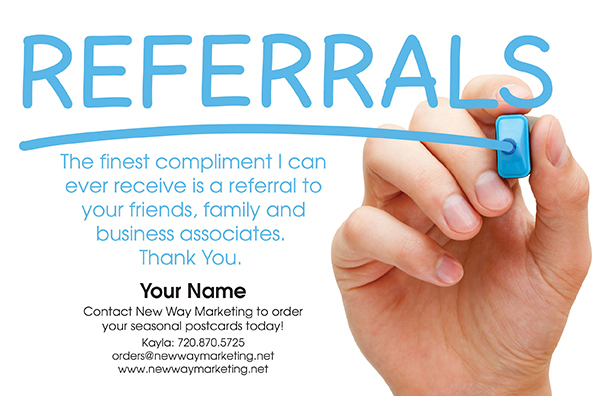 In fact, many independent businesses - such as financial services professionals, REALTORS, interior designers, caterers, or personal trainers - grow their business exclusively through referrals. 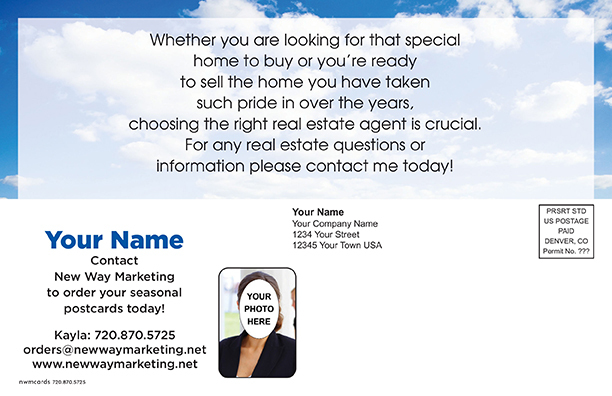 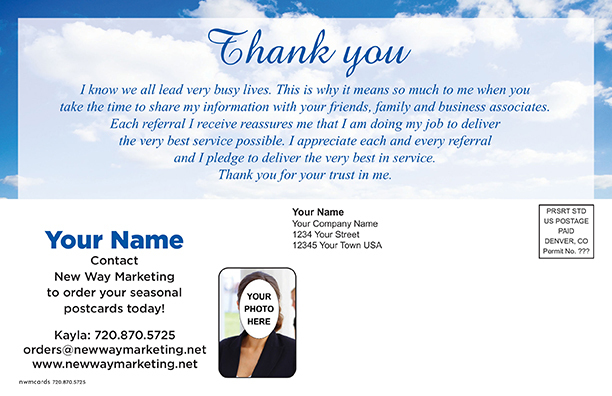 Use our predesigned cards to stay in touch.